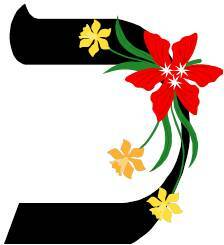 The first thing you need to know is that the "i" in a hebrew name is often pronounced with a long "ee" sound. For example our main character, Aaliyah is pronounced "uh-lee-uh"
In Hebrew, they have a letter that doesn't have a equivalent in English. It is the Haf which makes a sound like the "ch" in "Bach". It's a throat sound, and literally almost sounds like you're clearing your throat with almost a "Ha" sound. You can hear it pronounced at this link on the right hand side where the little audio player is. When typing the haf in english, we use "ch" so the name Chaim that is used in Volume 1 The Healer's Touch is actually pronounced with that guttural sound more like "Ha-eem." Here is a list of Character names and how they are pronounced. Let me know if there are other names you'd like added to this list.